During October, one of my biggest decisions is “what am I going to be this Halloween?” I love homemade costumes because I find it so interesting to see how people’s creative juices start flowing. 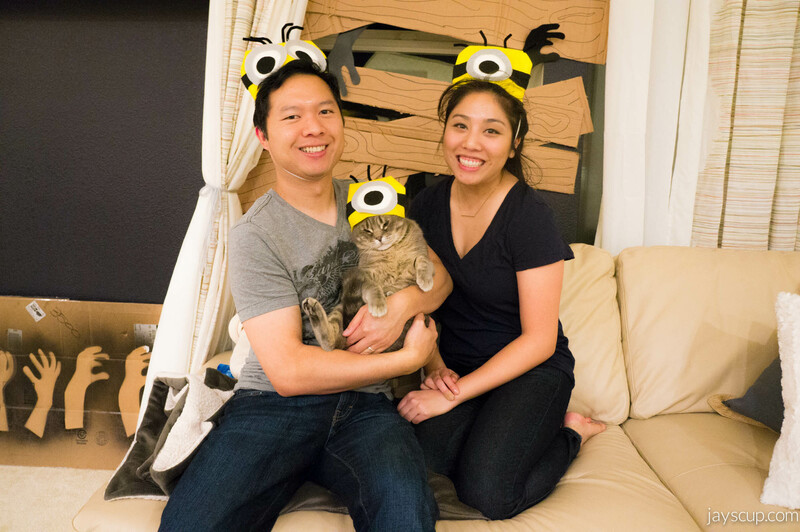 Last year, MG and I made minion hats for our costume. This year we’re going to be… Can you guess from the items below?!?! Do these colors remind you of any Pixar movies? 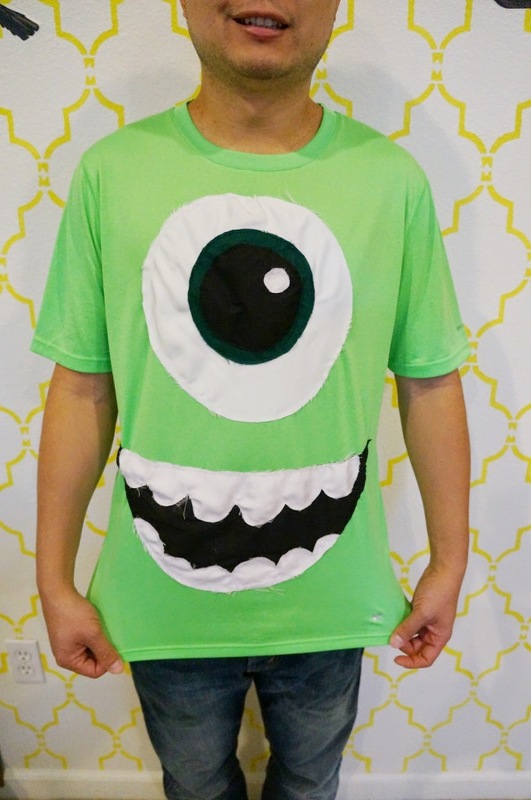 Perhaps Monster’s Inc. MG will be Mike Wazowski, and I will be his companion, Sulley. This year, my costume will be a double-duty outfit. 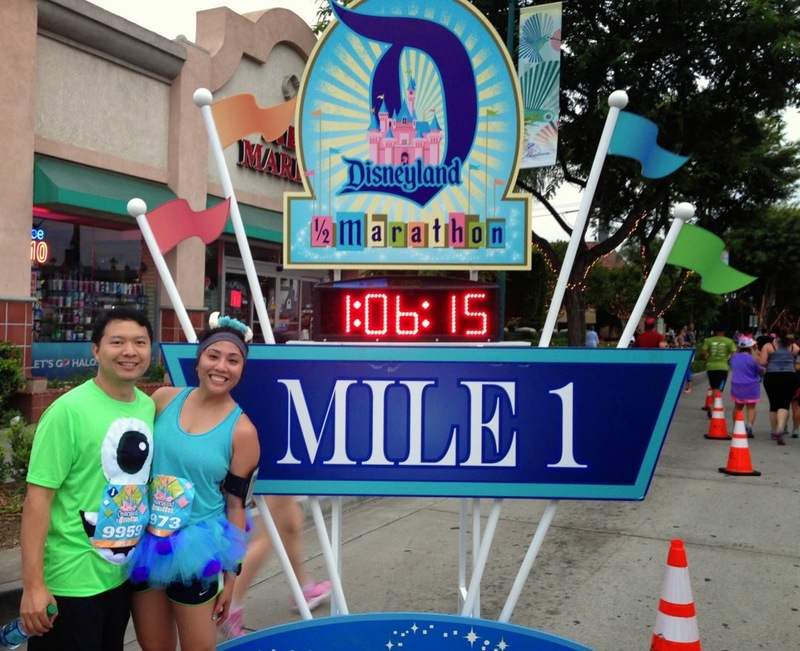 If you’ve been following along, then you know what these costumes were used for (my Disney half marathon!). In this post, I’m going to show you how I created these looks. First let’s start out with Mike Wazowski. 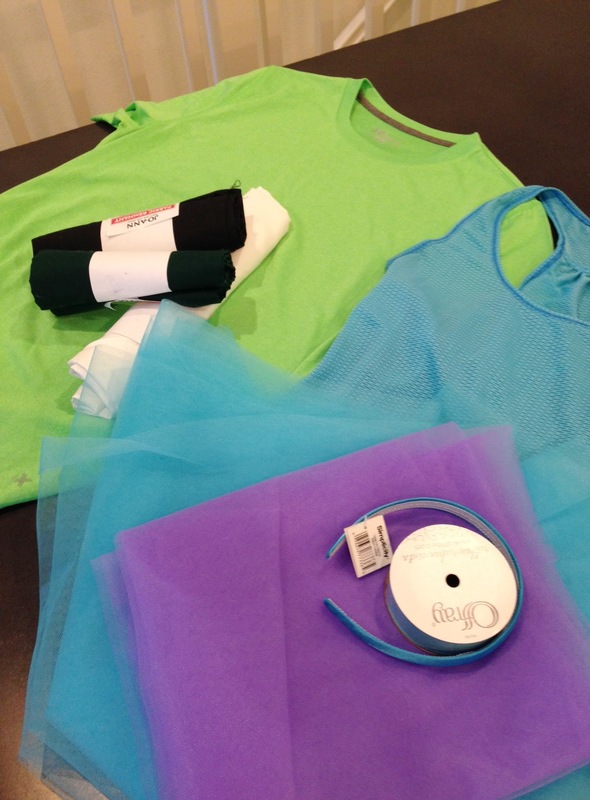 What you’ll need is a bright green shirt and 3 different colors of fabric (white, black, and dark green). 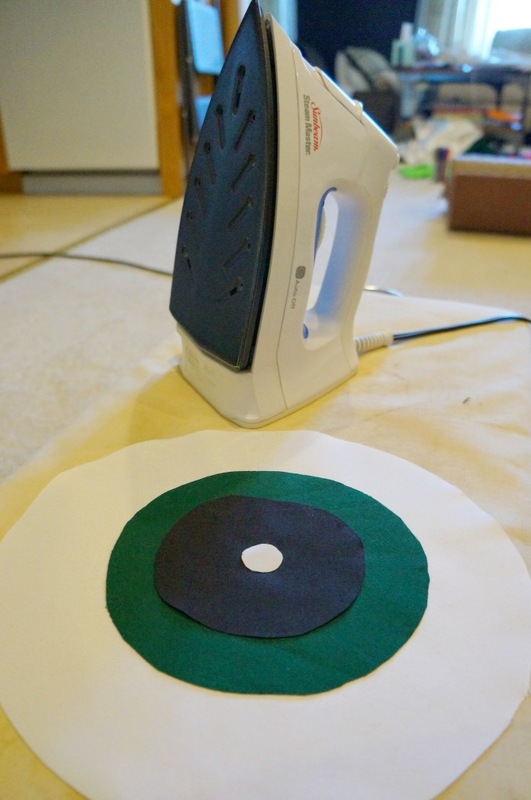 Cut out a circular eyeball on the white fabric, a smaller dark green circle for the cornea, a smaller circle for the pupil, and then a small white circle to use as the reflection of the eyeball. 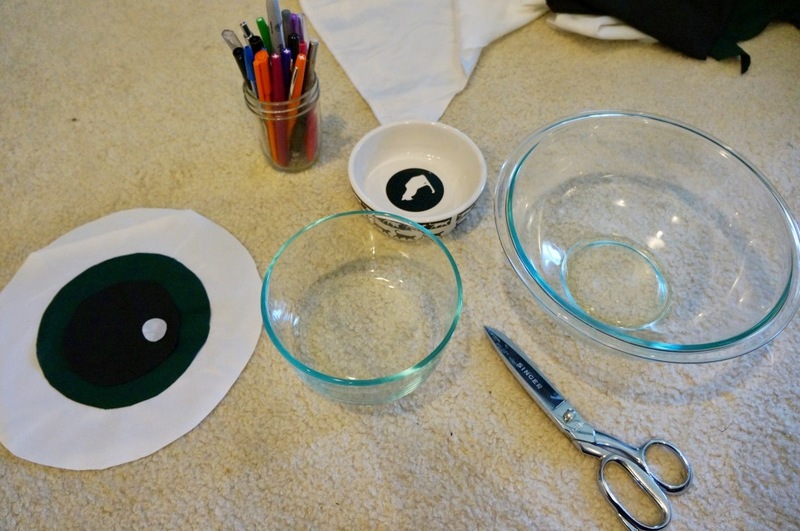 Find circular items around the house as your guides – I used a variety of bowls. 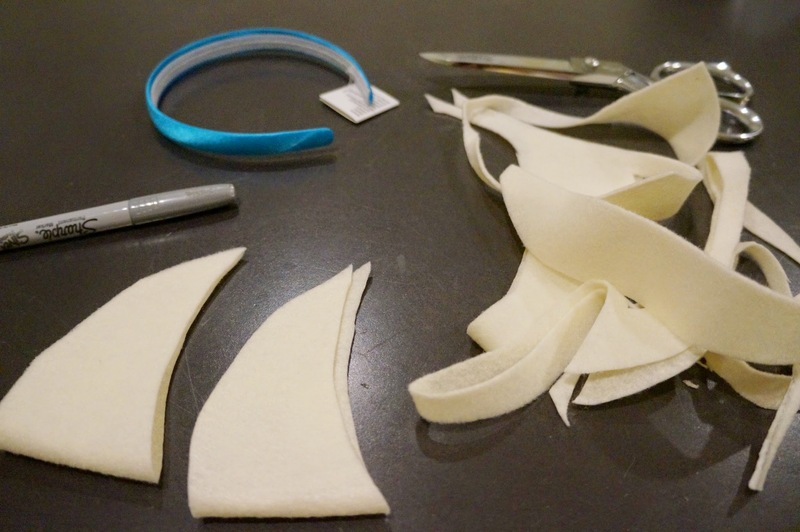 And simply sew each piece onto the t-shirt. I kept the sewing simple, so the edges are raw and a bit frayed (I chose this since MG will only be wearing the shirt twice). 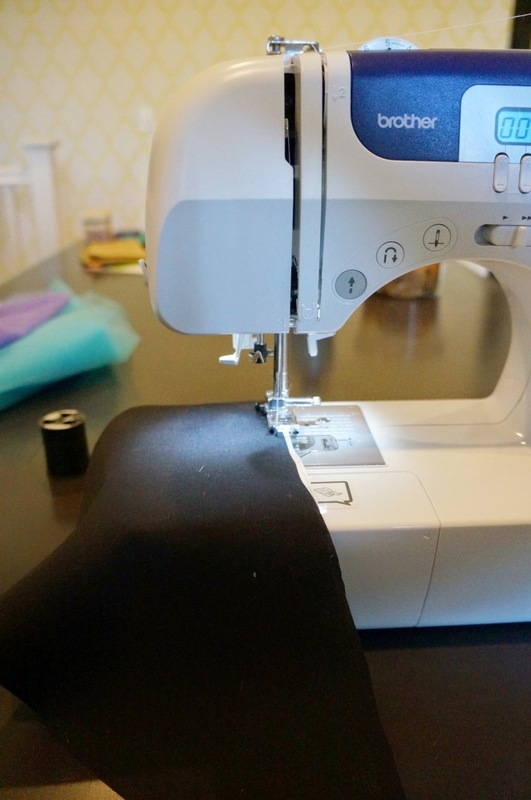 If you want the costume to last longer, definitely sew with a zig-zag hem. Another option is to use Fray Check by dotting along the edges and letting the liquid dry (it works like clear nail polish). Now for the Sulley costume! I wanted to keep it girly and cute still (ideally, I don’t want to look like a huge fluffy monster). What I came up with is a tutu with a cute set of horns. 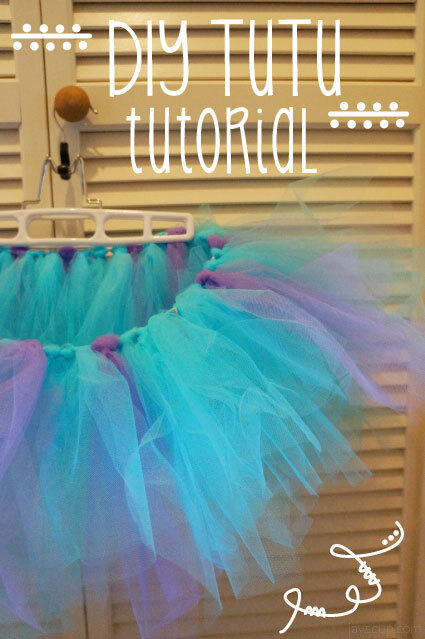 If you’re looking to make a tutu – this is the perfect tutorial for you! What you’ll need for the tutu is: 10 feet of tulle, an elastic band (or ribbon), scissors. 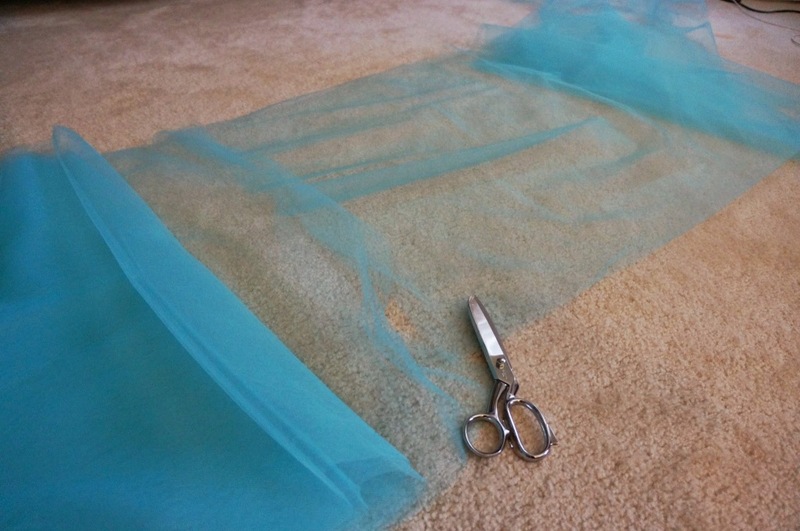 Cut the tulle into strips of 4-5 inches. 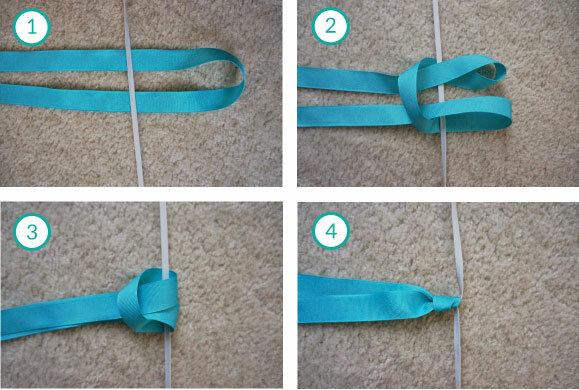 Measure our your elastic band/ribbon around your waist, and tie the tutu around the elastic band or ribbon (tutorial on how to tie below). 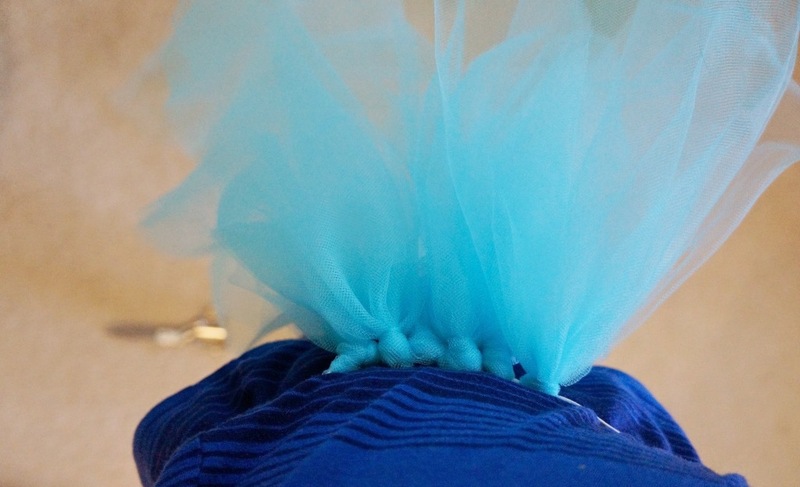 Keep going around the band/ribbon until you’re out of tulle. 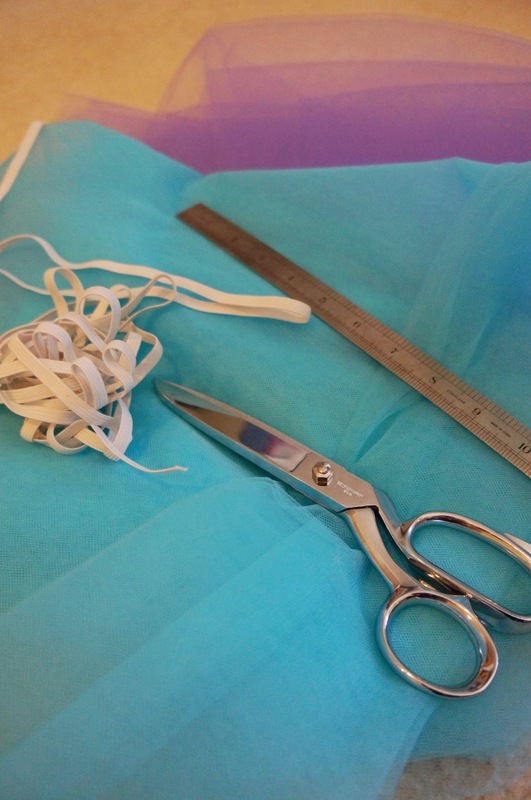 Keep the band around your waist to tie the tulle on easily. For the Sulley costume, I needed to add spots of purple. 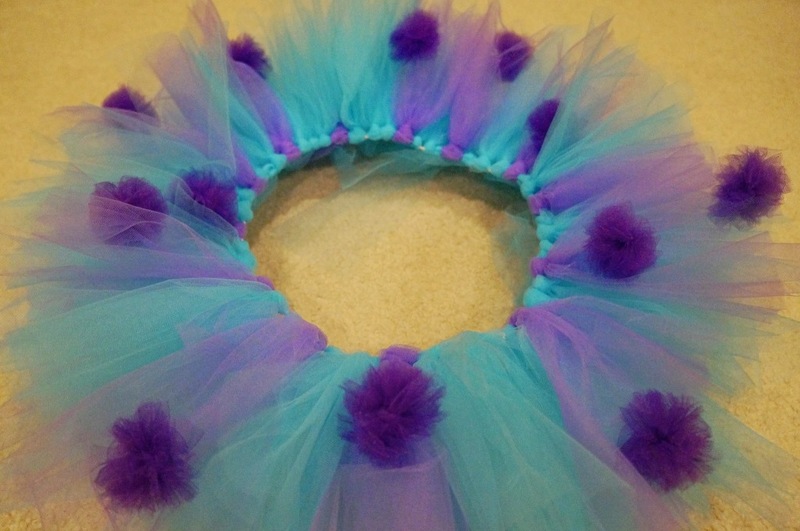 I purchased purple tulle pom poms and simply hand-sewed them onto the tutu. Now for the horns. 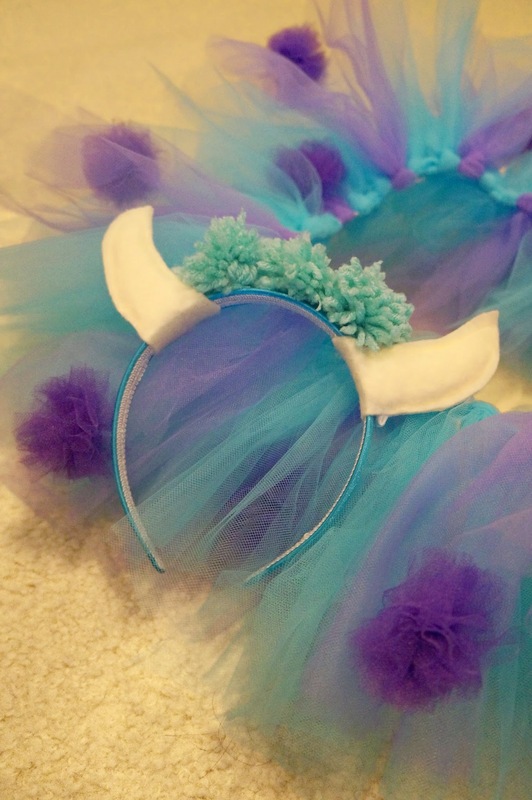 I purchased a blue headband and cut out horns from felt. I stuffed the felt with some extra fabric and sewed the horns together and slipped them through the headband. 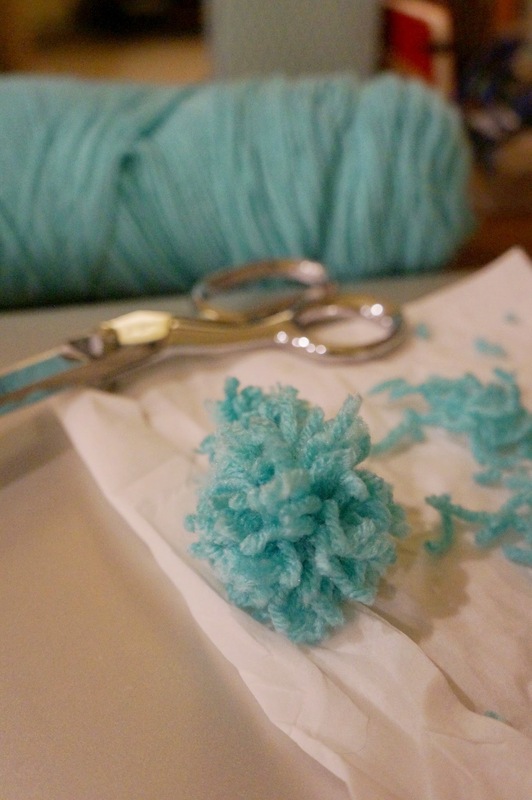 Then I made some pom poms from yarn and glued them onto the headband (pom pom tutorial here). And that’s it! 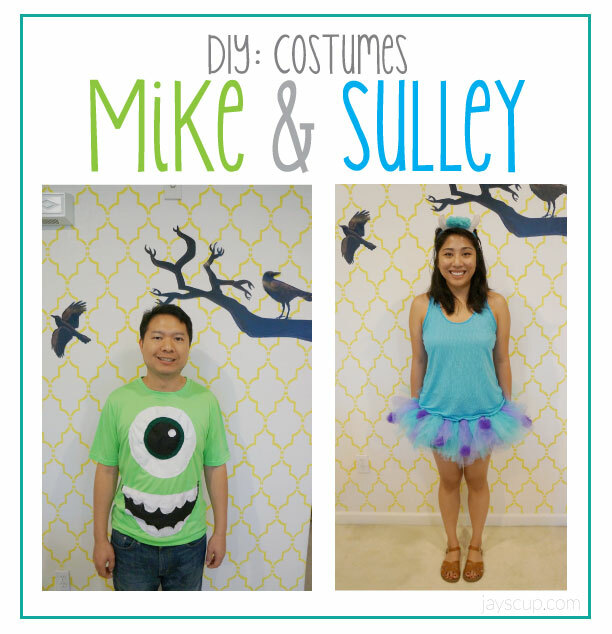 A cute Sulley costume to match an adorable Mike Wazowski! Creating costumes is so much better than purchasing. It’s unique and a great way to show off your creative skills. What will you be this year for Halloween? 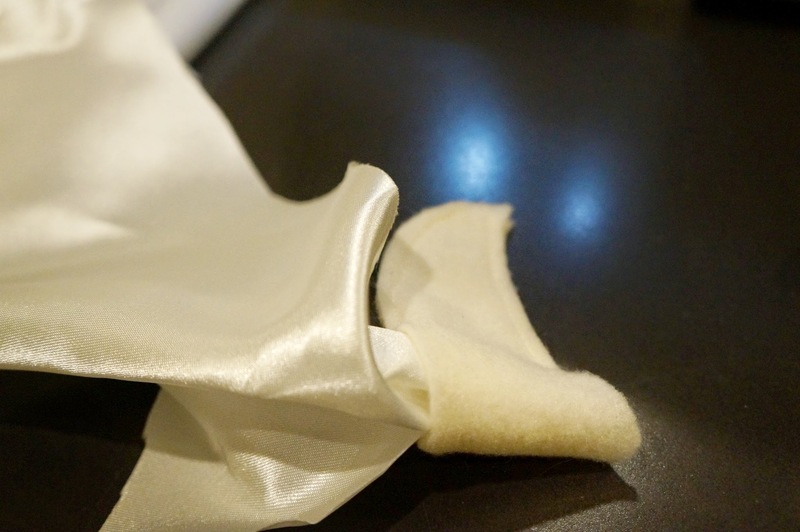 Will you be making your costume?